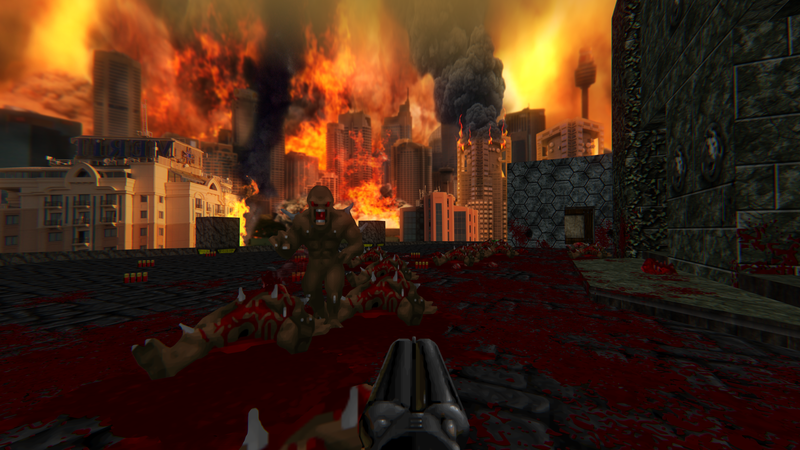 Hoover1979 is working on a texture pack for Doom (and Doom II) that takes the original game’s blurry surfaces and brings them into the 2K generation. He’s re-doing everything. Not just the walls, but terminals, windows, skies, the works. Even at this early stage, the results are a lot better than the whole idea sounds on paper. He’s not done yet—it’s a lot of work!—but there’s a demo you can try out here.